LinkedIn is one of the most important of all social networks. For a large and increasing number of professional people the business site is used for a myriad of work related things. Whether you’re a graduate looking for a job, a start-up founder or an experienced professional looking to network and meet new contacts – it’s the go to site. 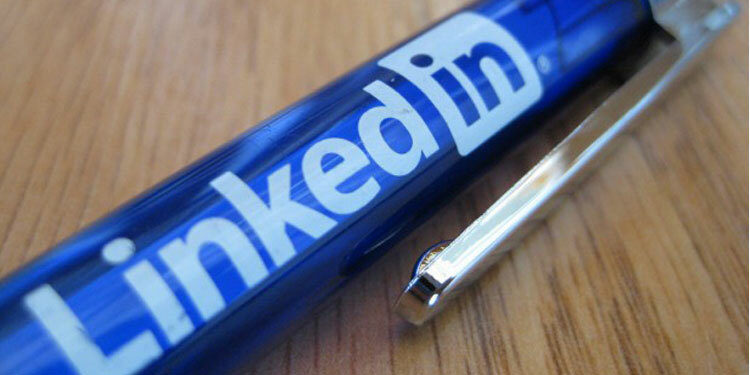 LinkedIn is the central spot for 21st century headhunting and a HR manager’s dream. So, following on from our Facebook brand page audit guide last week, let’s take a look how to create a more professional looking profile and reel in those offers. The more detailed the profile, the better the profile generally. LinkedIn profiles are just online work resumes and display past experience, education, skills and positions as well as a profile image. At the most basic you should follow the site’s tips for filling out a profile, if you wish to make the most of it, then there’s plenty more to do. Even, adding extras such as profile headlines that create an element of personality, as well as keywords in your headline and throughout the entire page help and allow you to stand out. As is the case at work for most of us – a little more effort places you top of the class. You want your LinkedIn profile to look pristine and that’s why proofreading it is a must. Being eagle eyed for spelling and grammatical errors on LinkedIn could be the thing that gets you that dream interview. You want to communicate effectively and concisely and ensure that the reader knows exactly what you do without even pause for thought. It’s often best to get a second person you know to read through it also to ensure that it’s clear, easy to read and concise. Don’t lie – not that we should have to say it to you anyhow. Lying in the professional world is not on firstly, secondly it’s easily found out and finally it’s unethical and makes you seem untrustworthy. Make no mistake; it’s the first thing a business looking to hire you will be turned off by. As is the case with Facebook, you can also change your account’s URL to your name rather than a mixture of figures and numbers. It’s easy to do and you just go to Settings- Edit public profile – Customise public URL. You can then choose your vanity URL and afterwards your URL will appear with the new vanity address in the URL bar. If you really want to be consistent make it the same as your Facebook and G+ URL. LinkedIn isnt some sort of dating site, so try to include a recent image – one that shows what you look like now. In addition, remember that this is not Facebook or Twitter and it’s purely professional, so tone it down and portray yourself in a professional manner to clients. Think boring, high quality and recent, and portray yourself in the best way to clients. LinkedIn Groups are a great place to build a name for yourself and the perfect place to showcase your professional knowledge in front of industry bigwigs and contemporaries. Being actively involved here can lead to new connections and more work. Using LinkedIn badges allows people to see your profile and click through to your LinkedIn profile through your website, blog, forum or newsletter. In addition, adding LinkedIn to your email signature is a good way to get people to connect with you through the site. It helps you make connections and exposes your profile to new people. It’s always a wise idea to personalise your LinkedIn Requests, as it gives people you’re sending them to a good idea of who you are and what they can expect. It’s also good etiquette to do this if you ask us, as often people are stumped by a ‘John Smith’ and can’t remember them from high up or low down. LinkedIn has a load of great apps that you can use to make more of your profile. For instance, why not connect your site’s blog to the network and sync blogs with your profile, or why not use the likes of SlideShare to embed new presentation slideshows. There’s a whole host of great apps out there and making use of them can be a great way to win friends and influence people. Of course, if you don’t want to share everything you can also turn off updates. This means that you can turn off your posting of updates and notifications to the wall temporarily. This is useful if you’re performing a profile overhaul and adding a load of new information. It prevents all of this often old info being posted to the wall and filling it up on other people. If you want to do this go to settings, and then ‘Privacy controls. Here you should see an option to turn on and off activity updates. Save these changes and people won’t be able to see the updates you make. Turn it back on then whenever you like to return to normal. So, if you’re looking to improve on your LinkedIn profile these tips are great places to start and can really allow you to make more of the business networking site.